Place coriander roots, garlic, pepper and salt into the bowl of food processor and blend until finely chopped. Add the prawns and the baking powder and blend until a smooth paste is formed. Scrape down the sides of the food processor bowl. Then blend again for half a minute until the mixture is very smooth. Transfer the mixture to a large bowl. Place breadcrumbs in a large shallow bowl or tray. Use a mini ice-cream scoop or a spoon to scoop heaped tablespoons of the prawn mixture into the breadcrumbs. Coat with breadcrumbs and form into patties. 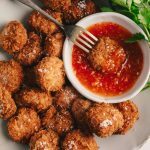 Place the crumbed shrimp cakes onto a tray lined with baking paper. 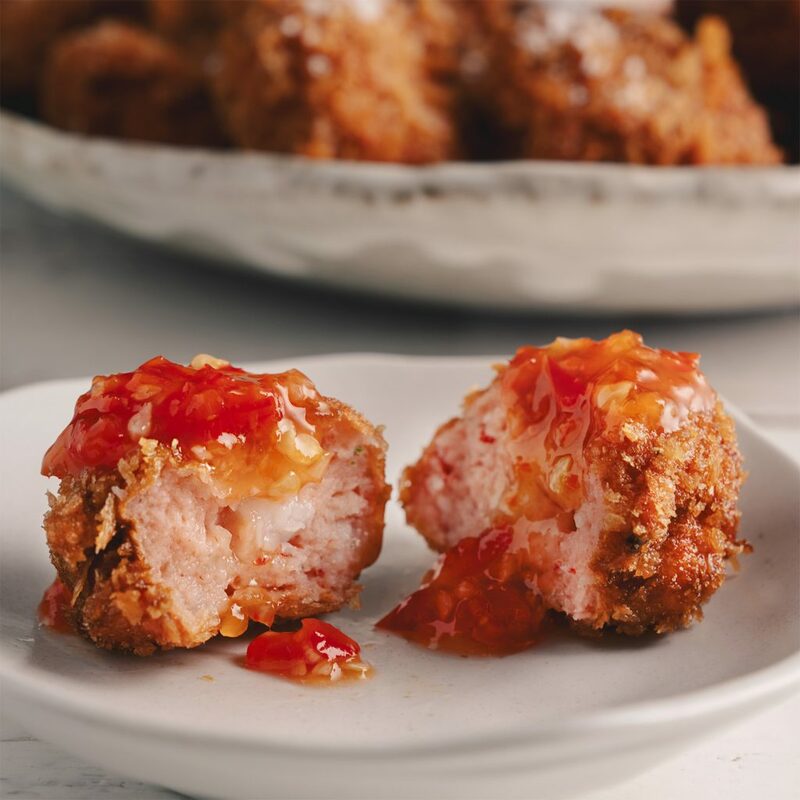 At this point shrimp cakes can be frozen for use later. Fill a saucepan or wok to about 1/3 capacity with the vegetable oil. Heat over high heat. 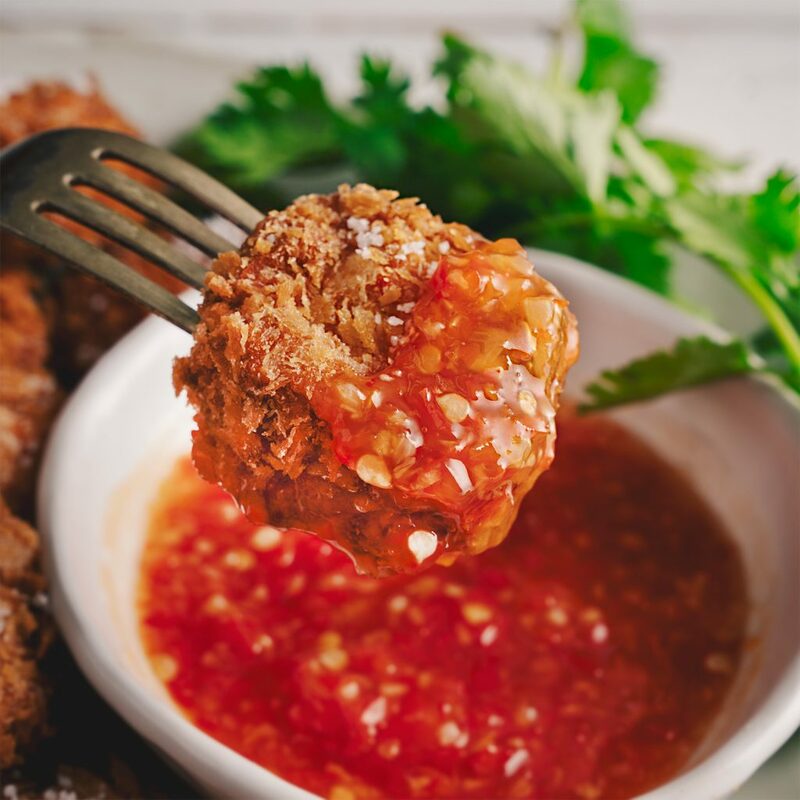 Once the oil is hot (325°F or 165°C or when a wooden spoon dipped into the oil forms small little bubbles) cook shrimp cakes until golden. Flip them a couple of times as they cook to ensure an even colour. Drain on kitchen paper. Panko breadcrumbs are a type of Japanese breadcrumb available in the Asian aisle of most supermarkets. 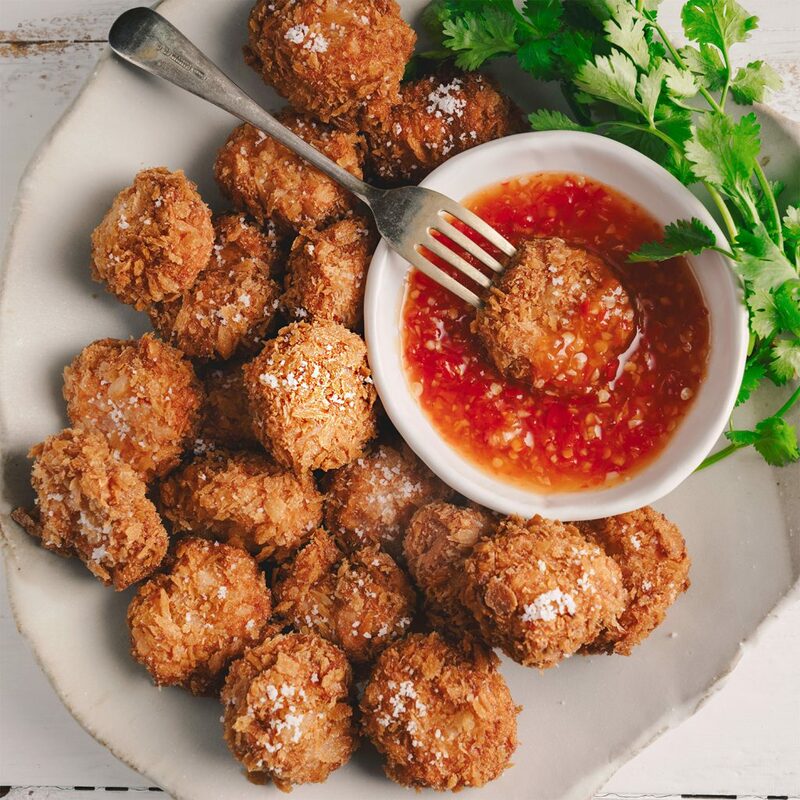 Shrimp cakes can be frozen for up to 2 months. When ready to use, cook them from frozen.